It was a double-header weekend for the World Challenge competitors at Mid-Ohio and OPTIMA-sponsored Tiger Racing and driver, Paul Brown, came out on top of both GTS races. 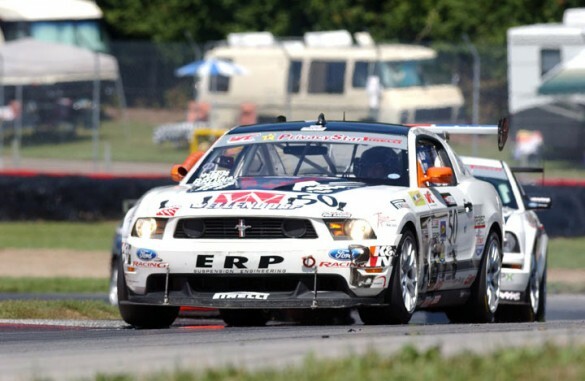 On Saturday, Brown started second in the GTS class, behind Peter Cunningham. It was a battle of Mustangs at the finish, as Tiger Racing's Boss 302S held off the FR500S piloted by Eric Foss. In the second race of the weekend, Brown found himself starting behind Foss Alec Udell, who at 15 years old became the youngest in World Challenge history to take the honor. It was a rough, physically-demanding race, but Brown was able to hang on and beat Peter Cunningham to the finish for his second win of the weekend and fourth win of the season. Charlie Putman picked up the OPTIMA Batteries Best Standing Start award in the first race and Robb Holland grabbed it in the second race. As an interesting side note, former OPTIMA Ultimate Street Car Invitational competitor, Stephen Ruiz, finished 9th in the first GT race and 14th in the second race, after dealing with mechanical issues. OPTIMA is the official battery of the World Challenge Championships.